But the judge, after a recess, gave him the ruling that German law did not allow his testimony … adding, obsequiously, “please don't think we are disrespecting you.” But he did think so! In fact, he felt disrespect from everybody there. He complained to anyone who would listen (caught on video here – titled “Former Auschwitz Guard ...”) – even though he had just arrived. [The defendant Hanning]'s going home and he's laughing at me. I don't like it. I'm not disappointed because I'm used to it. But comes a guy who was there [meaning himself]. Can you imagine who he was and who I was. He was in uniform, SS officer, good-looking, educated, uniform .. and I was a [?unclear word] family .. I lost hundred people in my family, we were one hundred people, we survived only five. To ignore is a very unrespectful, and very mean, and it doesn't fit with these six people who sit there. I would say he is suffering from what so many “holocaust survivors” suffer from – the feeling that they have been humiliated and they want to get even for that. They were made out to be the lesser people; the “Nazis” were the masters over them. In actuality, most weren't treated so badly, but the sense of disrespect and SHAME was so detestable to their sense of self that, in order to even the score, they resorted to exaggeration piled upon exaggeration. As other “survivors” saw what kind of stories were being told, they joined in and repeated the same things. What he's revealing is his deep resentment over the contrast between his status and appearance, and that of the disciplined guards in their clean, well-tailored uniforms. He wants to bring every one of them down to a level beneath himself, to “rule” over them now. He does it by accusing them of unspeakable atrocities that will SHAME them forever. Now it will be they who bear the SHAME. And look at how Hanning hangs his head like a whipped dog – he is giving them exactly what they want. 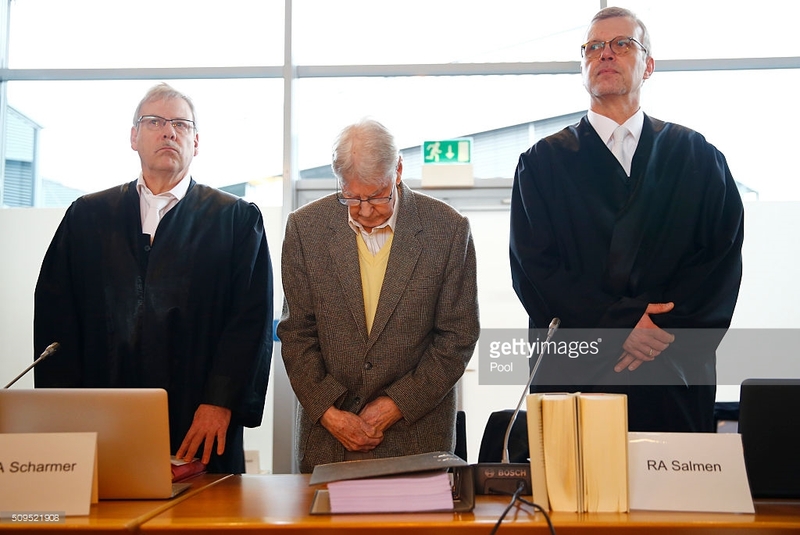 Reinhold Hanning never raises his head and tries not to speak during his trial. Here he stands between his two lawyers who are not there to really defend him since he's considered indefensible. 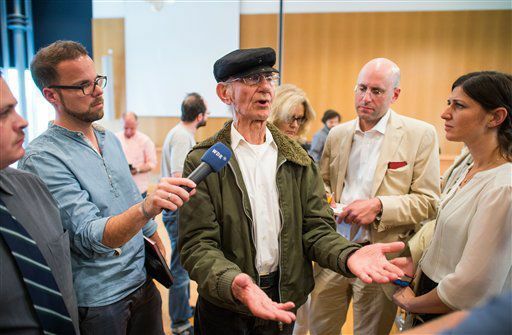 So how do we find out the real story of this man's incarceration during which he "lost a hundred family members" and became one of the “living dead” before his liberation from Dachau. I want to know whether his story makes sense, whether it merits belief. "They know who I am. I lost my whole family, I survived five concentration camps and I represent the dead people. They should at least respect me." But after that Kaufman was forgotten again. Once more, he felt unappreciated, disrespected. So he decides to go to the highly-publicized trial in Germany and get attention back on himself again. This, as I can see, is his sole purpose. But he is obliged to talk about his experience in the camps and that's where he gets in trouble. Joshua Kaufman's daughter, who accompanied her father to Germany, speaks with him in the courtroom at the trial of the man he wants to testify against. This is a quote from the NBC News report that covered Kaufman's day in court. "Can you imagine working in a crematorium, when you are only 15 years old?" he asked. "I had to break the bones of the dead to get them untangled ... I am not Joshua Kaufman, I am number 109023." A youthful Joshua Kaufman is pictured before he was sent to a concentration camp but no age is given. Does he look like he could be younger than 15? Doubtful. I would have judged him as about 18, or he could be 21. His clothing does make him look older. But does it make you question his statement that when he was 15, he was already working in a crematorium … at Auschwitz? The Daily Mail also says he is a Hungarian Jew. So which story is true? The one told by Gillespie or the one by Kaufman? In Dachau, it was not necessary to smash in any doors, particularly not in the latrine that didn't have a door! It was arranged in advance for the camp to be turned over to the Allies by an international committee. But they like to pretend for the sake of the narrative that courageous American soldiers risked their lives to liberate the inmates. 'We could not understand it. I grew up in California where we had everything in abundance. This is the crime done against the Germans at Dachau—the war propaganda the troops were soaked in, the misunderstandings their leaders encouraged them to hold, the anger that was allowed to explode—that resulted in the murder of over 500 German guards and camp personnel (many who had just arrived!) by these “incredibly angry,” ignorant but arrogant US troops. This is the story of Dachau that the narrative doesn't include. It wasn't the guards who “let other people starve” either. 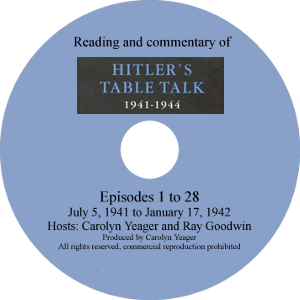 It was the Allied destruction raining down from the air that obstructed the delivery of goods within Germany – which is what it was intended to do. These same airplanes had guns that killed many Jewish and other detainees who were being transported by rail to the Western Germany camps. The Allies didn't care about that either. 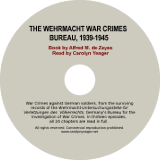 It's very possible that more non-Germans were killed in Europe by the Allies than by the Germans, including in the camps. George Rosenthal of Trenton, NJ, from documents obtained from the USHMM, has determined that numbers were divided into 1) “regular” (no letter), 2) preceded by AU for Soviet prisoners, 3) Z for Gypsy, 4) EH for Reeducation, and the A and B series that was not begun until May 1944 for Hungarian deportees. Thus, Paul and Joshua's numbers would both be in the regular series but Joshua's number is too low. Joshua Kaufman, who lives in Los Angeles, had hoped to win permission to tell the court about how he removed bodies from gas chambers at the World War II death camp after victims had been killed with Zyklon B. Too bad he wasn't allowed to say that on the witness stand. It would have been very interesting. But the court knew they couldn't allow his un-rehearsed testimony. Their carefully constructed sacrifice of Reinhold Hanning, needed to feed the anti-nationalist system they serve and the voracious appetite of World Jewry, might suffer a setback from which it couldn't recover. My conclusion is that Kaufman must have been deported to Auschwitz with the Hungarian Jews in Spring 1944, at which time he would have been 16 years old. So he was never a 15-year old crematorium worker and he certainly didn't drag dead bodies out of a “gas chamber.” Lies. He also couldn't have had the Auschwitz number 109023. He easily might have worked in 3 small labor camps before being moved to Dachau at the end of his one year of incarceration. In Dachau we had to tote around 50 kilo cement sacks. The whole day long. Whoever broke down was immediately shot. This is something he just made up or he heard another say. Nothing was done without purpose in Dachau and there was plenty of useful work to do. Why bags of cement? This is reminiscent of stories of carrying boulders from one pile to another all day. No one was shot for “breaking down,” nor were they overworked to exhaustion. This is not the German way; it reflects the Jewish mentality of torturing and tormenting one's enemies. The Daily Mail tells us that after the war this man made it to Israel where he became a soldier who fought in the Six Day War (1967) and the Yom Kippur War (1973). How then can he be seen as different from Reinhold Hanning since, as a soldier, you don't have a choice of your assignment. It wasn't until 30 years had gone by that he emigrated to America, married and had children. Does Reinhold Hanning have children too? Yes. Did he ever lay a hand on this man Kaufman (or anyone else)? No. But Kaufman wants to join in on the pointless public abuse against him. If Hanning is found guilty on May 27, he could be sentenced to 15 years in prison – at age 94 - even if it would probably be a suspended sentence. They just want to get guilty verdicts to “prove” that what didn't happen happened. Europeans have allowed themselves to be conned into accepting false guilt from the Jewish-Allied Forces official history of WW2. It is a type of false patriotism (Didn't we do great when we whipped the Nazis) that has ended up becoming anti-European because it condemns Nationalism as wrong, thereby promoting instead a borderless one-world multiculturalism that is intended to wipe out the distinctiveness of the White European race and their unique nation-states. Propaganda about the “Holocaust” is still central to this genocide of White Europeans. Those who use it don't intend to give it up. The lesson to take from this is not to believe what those who call themselves “Holocaust survivors” tell you. Do not immediately defer to them. Ask questions and remember the answers, so you can check out the information later. They should not get a free pass. It has come to be that not even the highest authority in the world in any field will dare to question a “holocaust survivor.” That means they are the highest authority on what happened! They get away with giant lies, mainly about Germans, but that reflect on all Europeans, and that isn't right. It's one thing to seek advantage for yourself, but it's another to do it at the expense of another. This is what surlievors do. Why do they go along with it? I think that these old Germans are probably told that things wil go easy for them if they just play along and act guilty, and that they will only make things hard for themselves by challenging the accusations. He's 94 years old and "in failing health." How hard can they be on him? What does it matter to him? He should have declared himself innocent and all these people liars. Ideally. But I think the prosecutors select the ones who don't resist, the confused ones That's the main criterion they use because they have a pool of possible candidates who worked in some capacity in the camps. They worked on him to get him to say what he did. His lawyers don't seem to really be working for him; his defense is exactly as it was during the Nuremberg Tribunal in 1946 - you are not allowed to mount a defense for yourself. He is brainwashed, or intimidated, or not in full possession of his faculties ... therefore they take advantage of him and he is putty in their hands. The German legal system should be admonished by legal experts elsewhere, but nobody says a word! It's a global political conspiracy to keep the holocaust real for the advancement of the anti-national global agenda. "I'm ashamed that I knowingly let injustice happen and did nothing to oppose it,"
"I want to tell you that I deeply regret having been part of a criminal organization that is responsible for the death of many innocent people, for the destruction of countless families, for misery, torment and suffering on the side of the victims and their relatives," Hanning read out from his statement. "I have remained silent for a long time. I have remained silent all of my life," he added. "People were shot, gassed and burned. I could see how corpses were taken back and forth and moved out. I could smell burning bodies; I knew corpses were being burned." "I've tried to repress this period for my whole life. Auschwitz was a nightmare. I wish I had never been there." "I could see how corpses were taken back and forth and moved out." What does that mean? Anything at all? 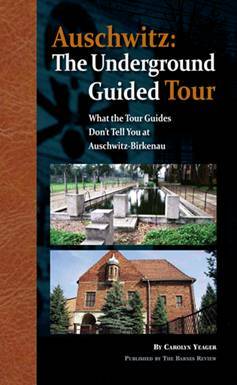 The story of the gassing and the cremation of the Hungarian Jews at Birkenau has no foundation in history. It is a simple propaganda story invented and structured on the basis of the elements provided by the real but insignificant and sporadic cremation of registered detainees in the yard of crematorium V.
This proven fake was on display as a practically floor-to-ceiling-size photo at the Auschwitz Museum when I was there in 2008. I was surprised to see it, amazed really. The so-called corpses are really drawings of very un-anatomical figures. What they're actually burning is clothing. The whole photo is a studio production ... in other words, photo-shop. So that leaves us with one word unaccounted for: gassed. Someone told him to say that or, more likely, someone wrote the whole thing for him -- his attorneys with the approval of the prosecution -- and he agreed to read it. As you say, Hadding, telling an old, rattled man it would all go beter for him and everyone if he did. What a crime against humanity to trap and coerce old men like that! According to Prosecutor Andreas Brendel, Hanning's statement quoted above could help win a conviction. "Today's statement contributed a little more to establish that he was there, because he admitted that, and more importantly to the fact that he knew about the killings in the main camp - that is also a crucial fact." As I said, his attorneys are not there to help him, apparently. 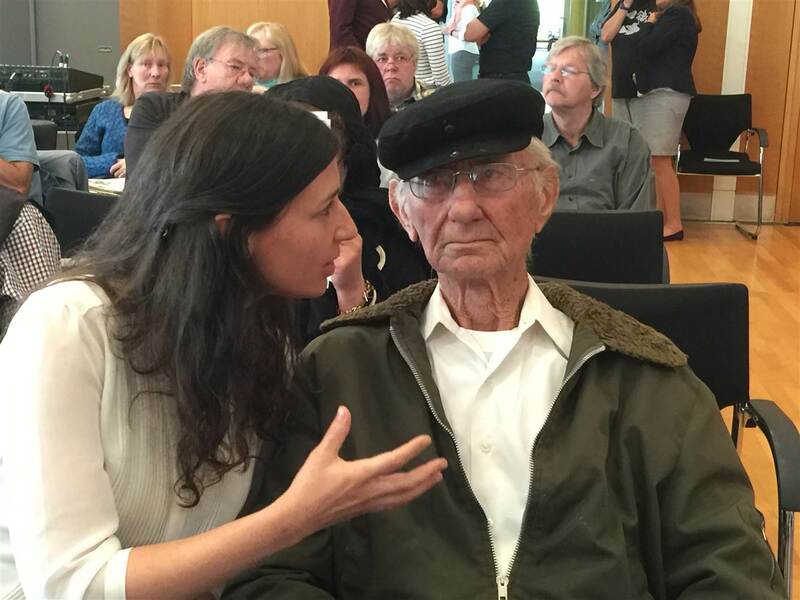 During the hearing, which began in February last year, the 94-year-old admitted that he was an SS guard at Auschwitz and knew about the mass murders which were taking place there. During this admission, Hanning also expressed shame and asked for forgiveness. You see. How did they get him to make that statement. I think he is out of it, but there is nobody to complain, like family members. In Germany it is not possible, anyway. What a revolting situation. 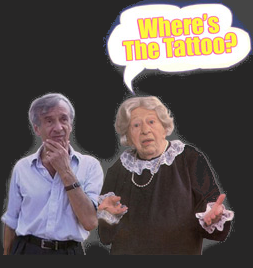 Too bad the dolt didn't die at age 93! Instead of focusing so hardly at all these meaningless details of what he said here and what he said there (after all, he's 90 years old), can you please answer the simpliest of the questions? Why your nazi ancestors and family members had to take hundreds of thousands of innocent Jews fron Hungary and Greece and France and fron all over Europe and send them to the concentration camps?They need workers, really, or it was just the plan to exterminate them because they thought of them as evil who rule the world, no matter how poor they were? Why they took the babies and the elderly and the kids? All these should cost a lot, and they couldn't work. So, why did the nazis took them?What is the truth that even a child can understand here? Hey, nazi lady, it's denial time. The truth is that your Yeagers nazi ancestors did a genocide.And another Yeager nazi 70 years later is trying to complete the job by denying it. Can you say loud and proud that the reason for which you're talking so hard about how many milligrams Zyklon-B was inside the bricks of the crematoria or how many Jews died from typhus or if Wiesel has a tattooed number or not or all these meaningless details is because you actually want to praise SS for their deeds and that you see a potential option for repeating the genocide once more as a good idea? No, you won't. You will deny all these. Because that's what cowards do. Even denying themselves. As, I've said, 'This is the main reason for their denial. In fact, they praise the genocide and they are working for a new one. 'This is the truth and this is the reason you talk to some stranger on the internet on the most well-documented fact in world's History, the genocide of the Jews (the same applies to the Srebrenica genocide, btw) and try to convince yourself that 'it never happened'. "Instead of focusing so hardly at all these meaningless details of what he said ..."
Well, we only have "what he said," and what a few hundred others like him have said, and they're all the same -- they lie. So we have to point out their lies. While I can point out your lies, you have not pointed out any lies I have told - you accuse me without evidence. Yes, I can say loud and proud that I praise the SS for their true deeds, and I have said it all along. But you lie when you say of yourself: "I ... can stand up and declare [my] beliefs loud and proud. I can say, in any time, any moment, any situation, that I'm against racism and antisemitism ..."
You don't use your name, you are anonymous. That is not standing up loud and proud -- not at all! You are the coward. I call you a coward, XYZ. Cowards are not worth listening to. 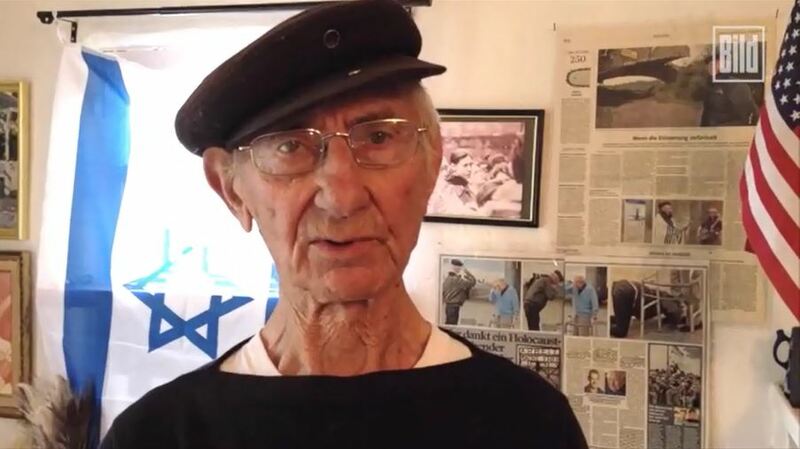 Here is Kaufman at home with the Israeli flag and his January 2015 news story on the wall [enlarge], showing his fanaticism to "the cause" of the Jewish people. That's the part he plays and he doesn't do it all on his own. The only place I found this photo was at Codoh Forum. He always wears that stupid hat. And here is a must-watch video that I just found at Bild.de. Wow, what a production this was. He was already filmed getting off the plane in Germany. Who set all this up? Did he call his friends at the Daily Mail, and they alerted their friends at Bild? A good story and that's what they like. Holocaust stories are all the rage. In the video, he says he doesn't want to put the 94-year-old man in jail [that would be bad publicity for Jews], but he wants to further humiliate him by forcing him at age 94 to attend the Jewish farce "March of the Living" every year at Auschwitz-land theme park, wearing an SS uniform and tell the Jews there "what he did." Didn't I tell you he was out for vengeance and to shame Germans. And many will say it's so they will keep getting the money. How much $ has Kaufman collected over the years? I would say he's been over-compensated for the extent of his suffering. How many 16 year-olds, even today, would volunteer to work for the Germans for a year for free, but with room and board included, if they would be guaranteed a monthly income (around $300 to $600 with cost of living adjustment) for the rest of their life? After reading your nonsense, I have a very simple question. Do you support the Nazi regime? Yes or no. If you have "cojones", you are able to answer. 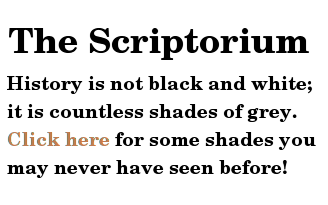 I guess you have not read this website since the answer to your question is there. Nothing is hidden. Now run along, you've had your one question. Only one allowed. I suppose by 2116 all of the liars of Khazar origin will be dead and this will be the end of their treachery and decei. Maybe not, maybe a few more millions of liars will emerge from the darkness and claim they were holocaust survivor. Why would this scam keep going on and on? Easy, for several reasons 1. The Khazar talmudists will continue to make as much money in retribution as they can. 2. The Khazar Judiaics did not like being kicked out of the Third Reich and deprived of all their power and wealth. Shoveling snow and pouring concrete were something they never had experienced and they hated the Germans for humiliating them and stripping them of their self made pride. 3. It is their goal in life to keep the German people and their ancestors down and feel an intense sense of guilt, even though most Germans alive were born during and after the allied Holocaust performed on the German people. Germany has not gotten off of her knees, risen up, and like the great bird of new birth stretched her wings and proclaim, I am German and proud to have given so much in the field of music, science, literature, philosophy, ethics, religion like the great Martin Luther, multiple geniuses in all walks of life, so many Nobel prize winners, and now will take flight and conquer all negative words, thoughts, deeds that are spewed out against us. Your time of reproach is over. Germany's time of greatest is now beginning!